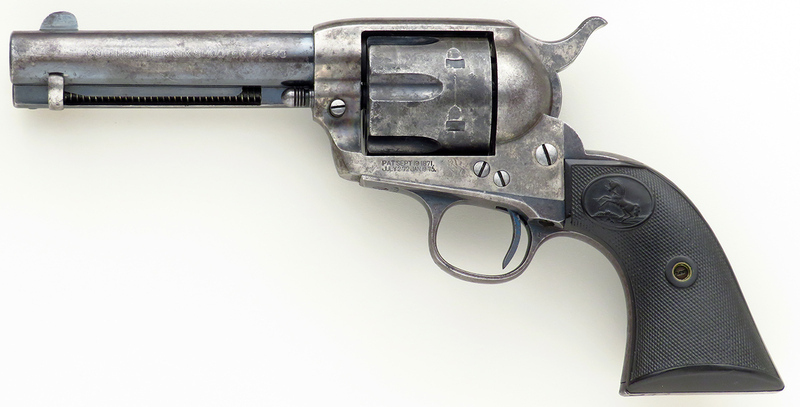 Colt Single Action Army .44-40, 4.75-inch, 1913, good bore - Sportsman's Legacy, Fine firearms, related books and sporting collectibles. Representing estates, collectors and nonprofit conservation organizations. 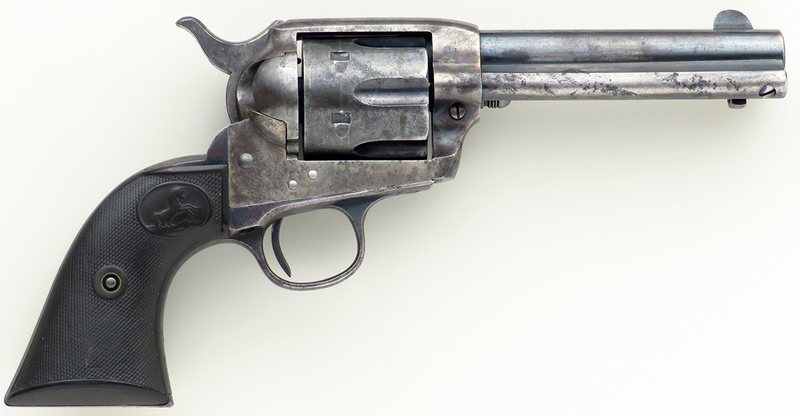 Colt Single Action Army .44-40. 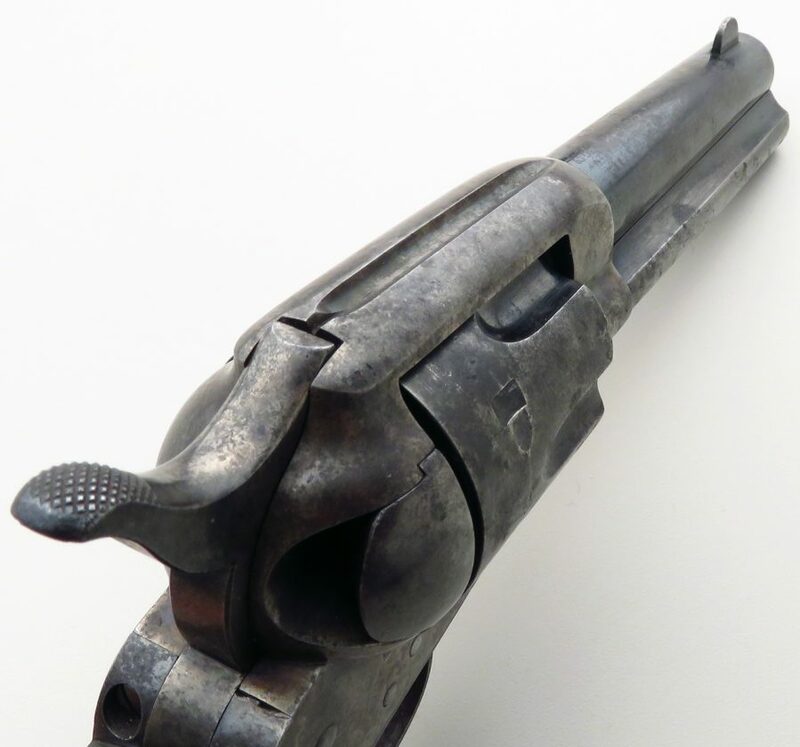 Made in 1913, serial number 326082 has a 4.75-inch barrel. 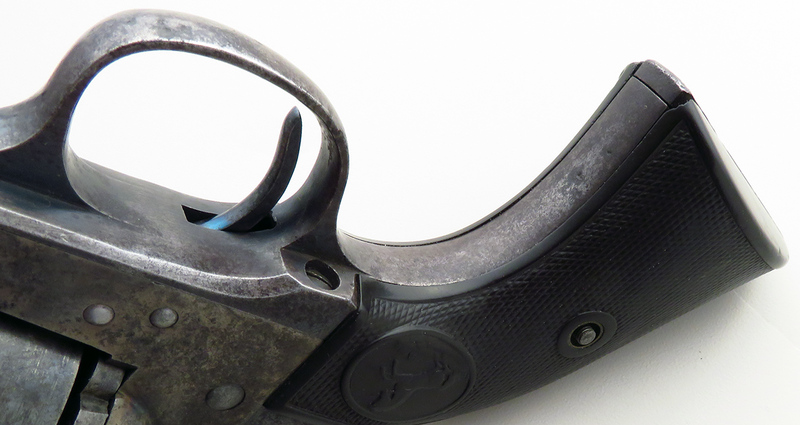 MARKINGS: Serial appears on frame, guard and grip. 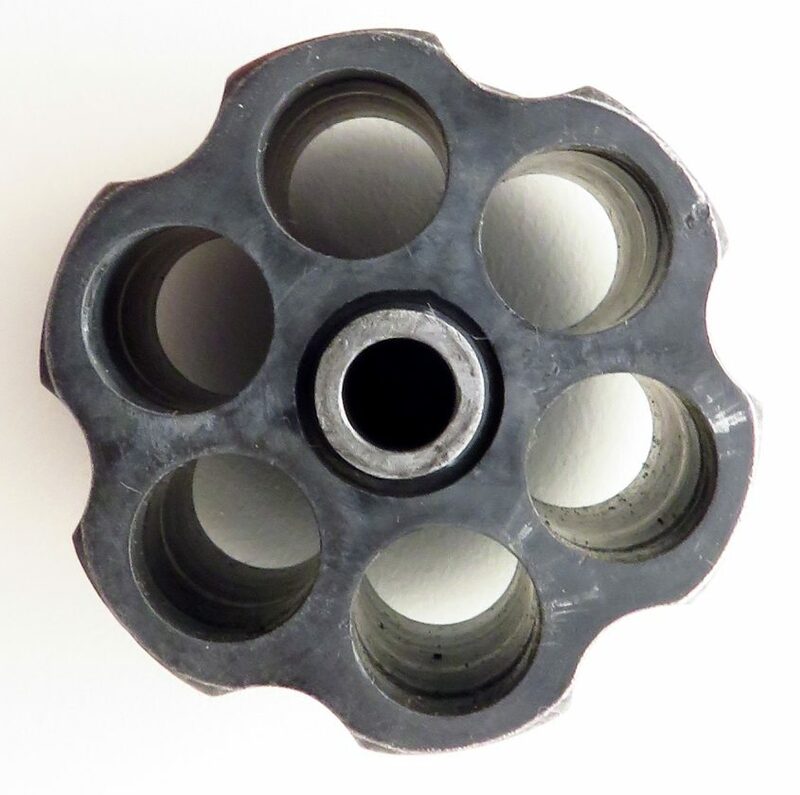 “Colt Frontier Six Shooter .44-40” is on barrel left. 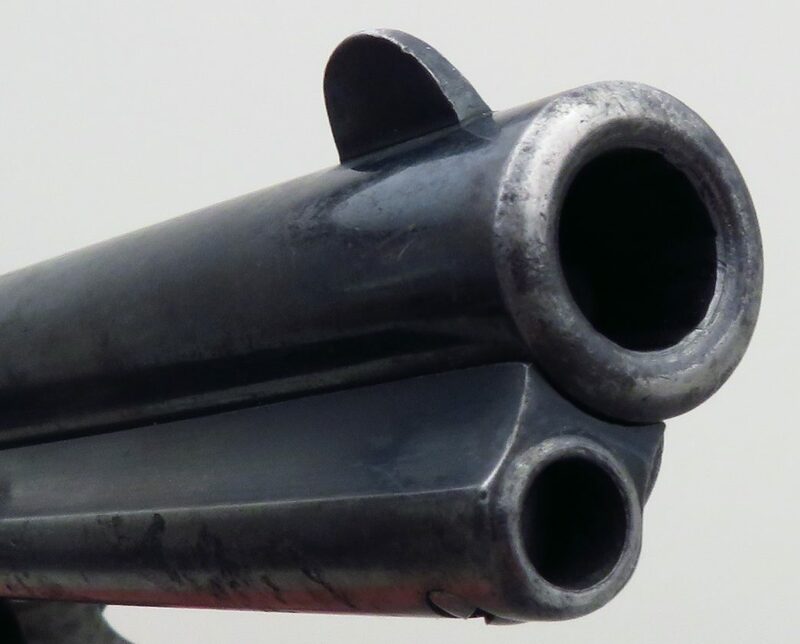 The barrel also has the two-line address. Inside grip panels is scratched what appears to be “6872” (left) and “6082” (right). 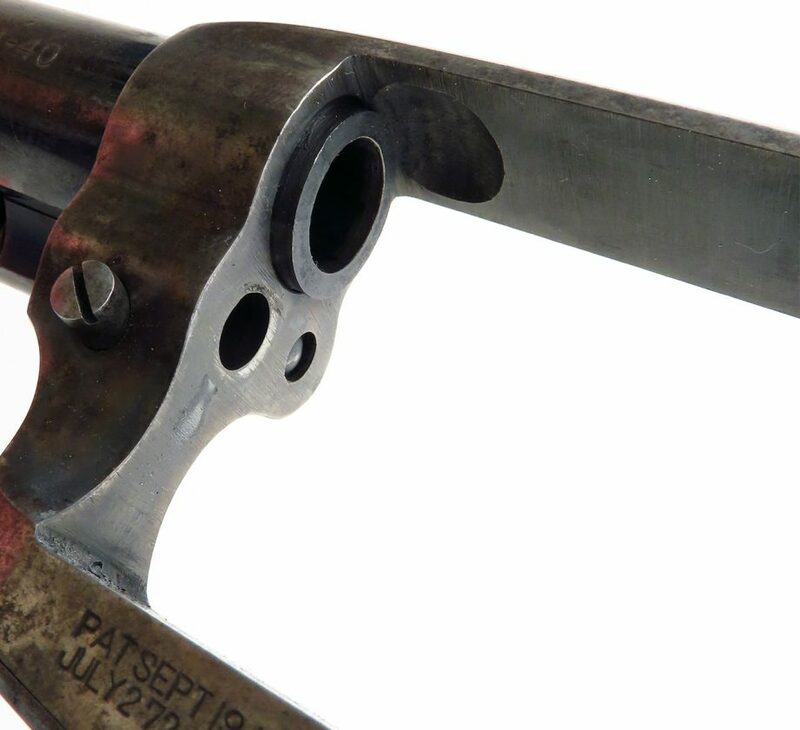 A “1” appears on the left rear of the trigger guard and a triangular mark appears on the left front. 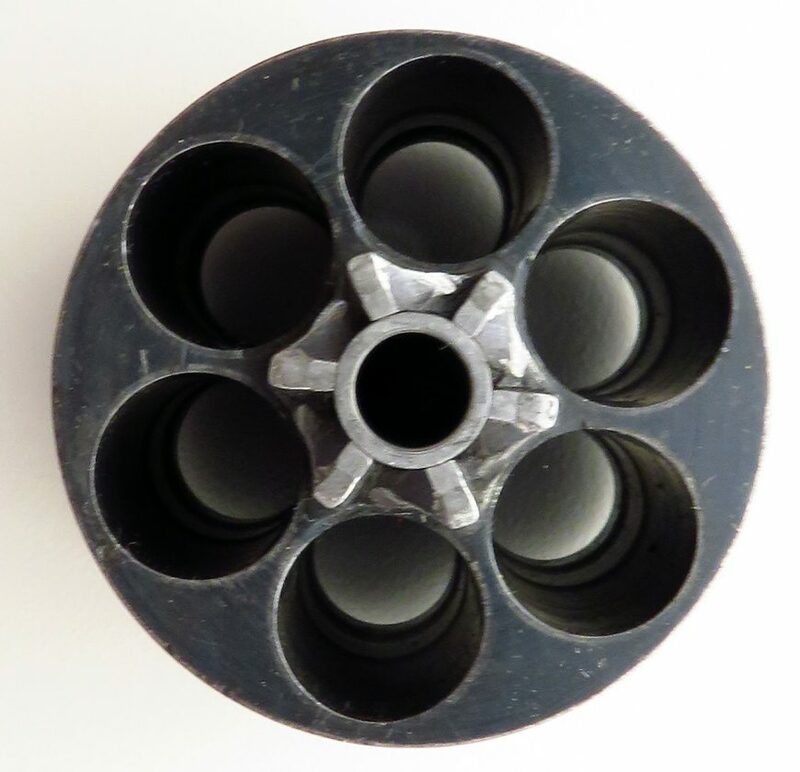 CONDITION: Bore is viable and rates as good, with strong rifling and a light general roughness. 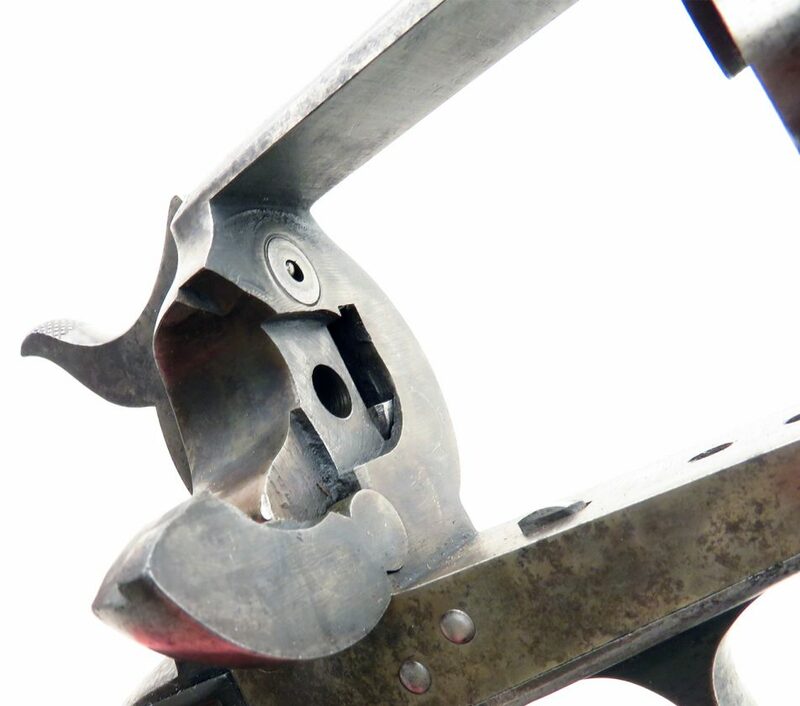 All hammer clicks are positive and the cylinder locks up tight. Barrel blue has thinned and faded to about 15 percent with a bit of roughness on the ejector rod housing. Frame colors have faded to trace. Grip finish is about 40 percent and the grip panels show uniform wear and have cracks on the inside (only) around the screw holes. There is a small chip from the lower front corner of the right grip panel and the grip attaching screw protrudes slightly. The price is firm and layaway is available. $3,000 plus shipping.